7:30pmET: Looking at the Inactives for TNF...no real shock. Josh Sitton and Akiem Hicks are both playing so I feel better about the Bears more than I did before. I would not be shocked if the Bears smacked the Packers around tonight. If the Bears get crushed -- here comes Mitchell Trubisky. If the Packers get crushed -- here comes 90% of the media saying, "Remember that time Aaron Rodgers spelled R-E-L-A-X for us? And it was hilarious? That was funny when he made us out to be stupid...so stupid we didn't realize the joke was on us?" Also, Colin Cowherd's opening rant Friday is Mike McCarthy has failed possessing Aaron Rodgers and falling short all the time in putting stuff around him...after saying McCarthy was a top 5 coach a few weeks ago. 5:39pmET: Devonte Booker coming back to action can't be great for those of us hoping for a Jamaal Charles uprising in Denver...another wrinkle in our plans. 5:30pmET: Marcel Dareus had a 'full' practice -- a huge thing for the Bills v. Falcons this week. 5:20pmET: You know who I am a buy low in all formats...Amari Cooper. All this 'drops' talk. Perfect for stealing him. I'm not suggesting he's a lock ahead. I just know I am buying a WR1 skill for WR3-3.5 money today...if that's all I pay. If he turns/fixes whatever...WR1 level WR at a discount. He can be my #4 WR on my fantasy roster anytime. I'll take a look and see if I can get a bounceback. I'll probably wait until Denver crushes the OAK WRs this week, and then go shopping at WR3.5 prices. 5:06pmET: The Ravens are likely going to be without DT Brandon Williams, on top of Brent Urban now on IR...the Ravens are crushed with injuries right now. Le'Veon Bell is a big winner, as would be taking the Steelers -3.0 on the road. It's not 'the vaunted Ravens' anymore. I just saw a bunch of analytics on how dangerous the Ravens pass defense is, I think on RotoWorld...are you kidding me? The beat Andy Dalton/Cincy Week 1...so bad the OC got fired two weeks later. The beat rookie nightmare DeShone Kizer Week 2. And then got their asses kicked by the all-run Jags. Of course their pass defense is great 'on paper' -- they haven't faced any real tests. 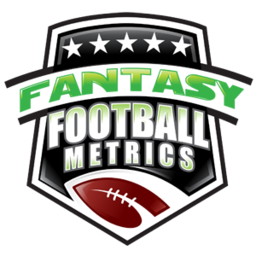 Most every football analytics anything I see is missing one key ingredient -- they never properly allow for the level of competition to weight the numbers. It's difficult because teams are a moving target based on injury, etc. It's easy to just run with the basic numbers and leap to giant conclusions. It's why my job takes 90+ hours a week in-season...knowing the competition levels to interpret the numbers is not easy -- it's hard work. I know first-hand. Make a bad assumption mistake and you ruin the entire stew. Honestly, I need to work 150 hours a week to really be great at this. It is not as easy as spewing YTD surface numbers. 5:00pmET: CHI-GB Handicap Chat posted -- home page scroll down a little. Expect Orleans Darkwa to be out for sure Week 4, and they are trying to get Shane Vereen available because of the loss of depth. Wayne Gallman would take a lesser Vereen role if he's out. I'm thinking all this adds up to a great Eli day Week 4. Doug Baldwin's injury is being downplayed, and it looks like he is likely to miss Sunday night because there's likely no need to push him vs. Indy with a potential make-or-break game vs. the the LA Rams the following week. Akiem Hicks is 50-50 for tonight and that's a major development. Stings the Bears chance at an upset by another notch. Sean Lee is 50-50 with his hamstring...a potential big blow facing everyone's new darlings...the LA Rams. The Colts will likely drop to 1-3 as the Jags and Titans go to 3-1. Indy plays the Jags and Titans in Week 6-7. If Luck isn't back by then, and Indy is 2-5/1-6 and Jacksonville and Tennessee are 6-1/5-2 after Week 7...what's the point of rushing Andrew Luck back? Considering how tough the Colts' schedule is after Week 9-10...the Colts should just pack it in. The computers white hot picks will be out around 11am. The computer is 64% picking all games ATS and after a 5-0 Blazing Five week...it's running 75% on Blazing Five picks YTD. Due for a crash or onto something? Find out this week! We got a few shockers for you.